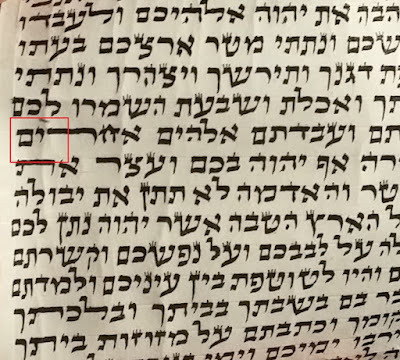 Does anyone remember seeing anywhere mentioned, that the words "Ve'chara Af" should preferably be written on one line in Tefillin? I remember a long time ago seeing something mentioned in a Sefer to that effect, but cannot remember where. We're not talking strictly Halachakly speaking, but some sort of Inyan besides. If anyone encountered something like that in any Sefer, I would greatly appreciate if they would enlighten me. Thank You. Why would in Tefillin be different then in a Sefer Torah? 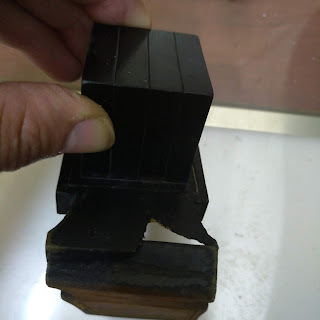 Does any known posek say to be makpid by tefillin too? How does the oilam pasken by tefillin halacha lemayse? Would one mention to a customer? Is it cause to change parshiyos? I see that the Mishnas Avraham is against making a big deal out of this, even by Sefer Torah, and is against erasing & fixing such a case, which he holds is hardly an issue worth mentioning. Interesting to see his Lashon inside... Thanks again Rabbi Levin for the Mareh Makom. 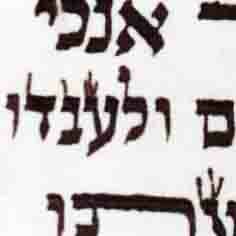 It is in Mishnas Avraham Siman 34, Seif 14.